write a check [cheque] 小切手を書く (cf. WRITE out 【成句】 (2)). write a book on American history アメリカ史の本を書く. write an opera [a symphony] オペラ[交響曲]を書く. He writes English better than he speaks it. 彼は英語を話すより書くほうが上手だ. write one's name and address in a book 本に住所氏名を書く. write a letter on a typewriter タイプライターで手紙を打つ. He wrote a wonderful melody for the song. 彼はその歌にすばらしい曲をつけた. write a good [bad] hand 字がうまい[下手だ]. He wrote “Many Happy Returns" on his birthday card to her. 彼は彼女あてのバースデーカードに「御長寿を祈ります」と書いた. I wrote him a check (for the sum [$40]). 彼に(その金額[40 ドル]の)小切手を書いてやった. write a letter from Paris パリから手紙を書く. write a letter home 家に手紙を書く. 《米口語》〈人に〉手紙を書く 《★【用法】 自動詞 3b の to の略した形と考えてよい; 【比較】 write to を用いるほうが一般的》. Our son writes us every week. 息子は私たちに毎週手紙をくれる. He wrote me an account of his journey. 彼は私に旅の模様を書いてよこした. I wrote a long letter to my parents. 私は両親に長い手紙を書いた. 〔(+目的語)+that / +to+(代)名詞+that〕〈人に〉〈…ということを〉手紙で知らせる; 〔人に〕〈…ということを〉手紙で知らせる 《★【用法】 前者の文型は主に 《主に米国で用いられる》》. He writes that he's getting better. 彼はだんだん快方に向かっていると手紙に書いてきている. I wrote (to) them that I was leaving for London. 私は彼らにロンドンへたつところだと手紙に書いてやった. Write (me) how you got home. どうやって家へ着いたのか手紙で知らせてください. Write me if I could see you on Saturday. 土曜日にお会いできるかどうか一筆お知らせください. 〔+目的語+to do〕〈人に〉〈…するように〉手紙を出す (cf. 自動詞 3c). I wrote her to come and see me. 彼女に遊びにくるようにと手紙を出した. The poet writes that life is but an empty dream. その詩人は人生はむなしい夢にすぎないと書いている. It is written in the Bible that… …と聖書に書いてある. Honesty is written on [all over] his face. 正直さが彼の顔[顔中]に出ている. He cannot read or write. 彼は読み書きができない. She writes well [clearly, legibly]. 彼女は字を上手に[はっきりと, 読みやすく]書く. write with one's left hand 左手で書く. write on both sides of the paper 紙の両面に書く. write with a pen ペンで書く. You may write either in ink or in pencil. インクで書いても鉛筆で書いてもどちらでもよい 《★【用法】 in を用いる時には pencil, pen も無冠詞》. Don't write on the walls. 壁に落書きしないでください. Her ambition was to write. 彼女の望みは作家になることだった. He made a living by writing. 彼は文筆で暮らしを立てた. The author writes well. この作者は文がうまい. write for a newspaper [magazine] 新聞[雑誌]に原稿を書く[寄稿する]. write for a living 文筆を業とする, 生活のために筆を執る. write to a newspaper 新聞に投書する. I want to write about it [on the subject]. 私はそのことを[その問題について]書きたい. He wrote of his experiences in Asia. 彼はアジアでの自分の経験について書いた. She writes home once a week. 彼女は週に 1 度は故郷へ便りを書く. 〔+前置詞+(代)名詞〕〔人に〕〔…について〕手紙を書く，便りをする 〔to〕 〔about〕《★write to は受身可》. write to one's mother 母のもとに手紙を書く. He must be written to. 彼に便りをしなければならない. I wrote to him about the matter. その件について彼に手紙を書いた. 〔(+to+(代)名詞)+to do〕〔人に〕〈…するように〉手紙を書く (cf. 他動詞 2f). I wrote to let him know that I was arriving at three. 3時に着くと手紙で彼に知らせてやった. I have written to him to meet me at the station. 駅まで迎えに来るように彼に手紙を出してある. He wrote asking me to meet him at the airport. 彼は私に空港に出迎えるようにと手紙をよこした. This pen writes well. このペンはよく書ける. The teacher wrote the word on the blackboard. You can write kanji very well. He wrote a program for a fantastic new video game. When you go to France, write me about your experiences. I wrote him to send the parcel by airmail. He wrote that he had moved to Sapporo. This novel is extremely well written. Shakespeare wrote many plays about historical figures. Beethoven wrote nine symphonies in his life. In the column he wrote that the project should be examined. He has written to me several times. I wrote to ask him for help. He wrote for the local newspaper for many years. The clause was written into the old man's will a long time ago. I wrote off a letter of condolence to him upon hearing his wife's death. She asked me to write off the debt. Write out your name here, please. The police wrote out a complete report. The results of the test are written up on the bulletin board. He wrote up a report about the insurance industry. The police wrote her up. Anger was written on her face. You should make kids learn to read and write more seriouly. This word processor writes in Roman alphabet and hiragana. He has written to me several times, but I just throw his letters away without reading them. Hemingway wrote for the Toronto Star for many years. The teacher wrote the word on the blackboard and underlined it. My father wrote me a check for $20,000 to pay for my school year. He wrote a long letter to his son. 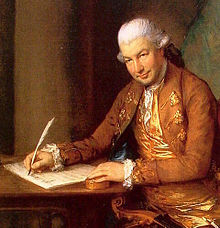 Beethoen was already deaf when he wrote his 9th Sympony. I'm writing a book about how to grow rice. Saliger's book, "The Catcher in the Ryle," was extremely well written. I wrote to the company to ask for a free sample of their product, but they didn't write back. She wrote down everything that was discussed. The teacher asked us to write down ideas for the school play. The television station asked viewers to write in to suggest a name for their new mascot. I wrote a letter of condolence to him upon hearing his wife's death. She came and asked me to write off the debt. After the accident, my car was written off as a total loss. You should write off trying to learn to sing as a waste of time. She wrote out a wish list and sent it to Santa Claus. Please write this out in ink and hand back in. He wrote up a report about the insurance industry and gave it to his boss. The police wrote her up a ticket. He could easily read what was written on her face. American food is nothing to write home about. Ask me about headache. I wrote the book on it. 【１】 《文字を》 書く; 《文章を》 書く, 作成する; 著述する; 手紙を書く. 【２】 《装置が記録媒体にデータを》 書き込む; 《プログラムがディスクなどに処理結果などを》 書き出す. ・CD-ROM cannot be written on. CD-ROM には書込みができない. A transfer of information to a storage device, such as a disk, or to an output device, such as the monitor or printer. For example, a disk write means that information is transferred from memory to storage on disk. An SPM (scanning probe microscope) can write fine patterns on a substance by manipulating atoms one by one. Our electron-beam lithography system is used to write circuit-design patterns on photomasks for semiconductors. 1-1) The author wrote this book with the hope that it will be a guide to a deeper understanding of the physical background of electron microscopy. 1-2) If we write f for the scattering amplitude per group of atoms associated with each lattice point, the following equation can be written. 1-3) For electromagnetic waves, the wave equation is usually written for the electric or magnetic field vector E or H.
2-1) It is possible to write a computer program which will determine the Bravais lattice type, unit-cell dimensions, and crystal system from a spot diffraction pattern rather than a CBED pattern. From Middle English writen, from 古期英語 wrītan (“to incise, engrave, write, draw, bestow by writing”), from Proto-Germanic *wrītaną (“to carve, write”), from Proto-Indo-European *wrey- (“to rip, tear”). Cognate with West Frisian write (“to wear by rubbing, rip, tear”), Dutch wrijten (“to argue, quarrel”), Low German wrieten, rieten (“to tear, split”), Norwegian rita (“to rough-sketch, carve, write”), Swedish rita (“to draw, design, delineate, model”), Icelandic rita (“to cut, scratch, write”), German ritzen (“to carve, scratch”). See also rit and rat.